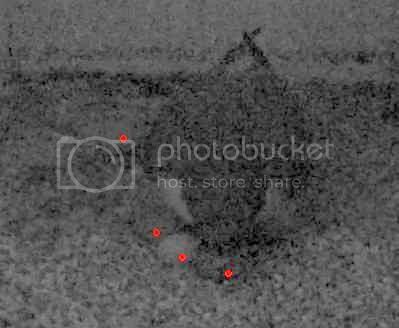 She's covering 3...#4 is still back there and all alone...hope its ok and that she'll eventually pull it under...its had plenty of time to "dry"....guess we'll find out tomorrow..
2325 CDT YOU CAN NO LONGER SEE THE 4TH EGG LAYING UNCOVERED AS BEFORE. HOPEFULLY, SHE HAS IT ALL THE WAY UNDER HER. 2335 CDT WENT BACK FOR ANOTHER LOOK AND AM AMAZED @ HOW MUCH NESTFLOOR HAS DARKENED. VERY, LOW, VISIBILITY NOW. Mom has been in several times this morning but Dad has refused to get up. This is the tail end of the last stand-off. Mom was a tad more persuasive this time. My first look at the 4th egg. Dad is so funny. He did this last night too. Wouldn't get up! Wow, I didn't even realize that she was still laying. EVERYONE IS IN THE NEST THIS MORNING! He would be on those eggs 24/7 if mom would let him!! THANKS SKYGIRLBLUE...THOUGHT IT WAS HIM! This is always a fun cam to watch...especially when they dive out of the box...who needs a roller coaster!! I am green with envy of their grass!!! SHE IS FALLING ASLEEP NOW. I noticed the same thing...plus...cars moving, people frozen.... figure that one out.. It is beautiful downtown now. We are going to have 80 degrees this weekend. (Just in time for me to head to Chicago back to colder weather!) One of the carriage drivers is a friend of mine, Lisa. She writes a blog and here is her one entry on the falcons she wrote a few years ago. The carriage drivers also help out the falcon team when a bird is in a bad spot as we leave for home when it gets dark. The year that one of them perched in a tree on Main St. she agreed to drive the carriage past at 10 and 11p, just to make sure he didn't come down. He stayed there all night, turned out, and flew out at 6:00am when it got light. Actually I lied. She's written twice. The second time was when she gave Bob a much need left in the carriage. Photos in this one. How wonderful to have the carriage drivers looking out for the falcons. I love it. THANKS LIZZIE FOR YOUR INFO. WHO WOULD HAVE THOUGHT THERE WOULD BE A CONNECTION WITH THE CARRIAGE DRIVERS AND THE FALCONS! I THINK THIS IS WONDERFUL! I WAS NOT ABLE TO PULL UP 1ST LINK, BUT DID ENJOY READING 2ND ONE. IT DID CROSS MY MIND... DOES THE WHOLE TOWN LOOK THIS WAY? 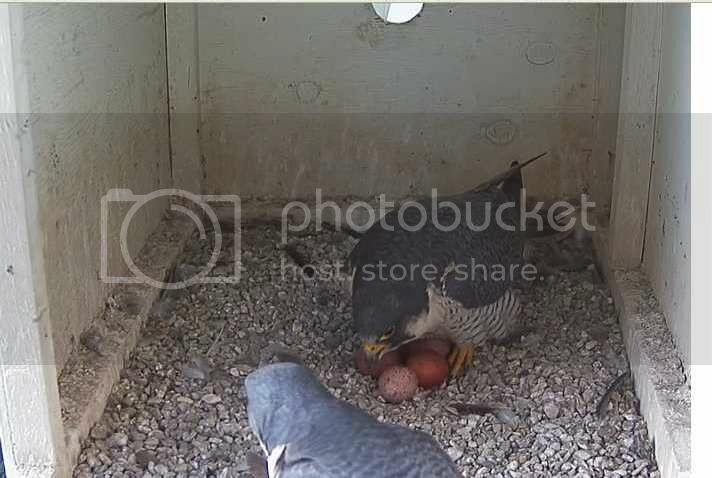 YOU ALL SHOULD BE VERY, PROUD OF YOUR CITY AND THE PEREGRINE FALCON SITE. WE LOVE IT! THANK YOU!